Is there anything creepier than a hand with more hands? 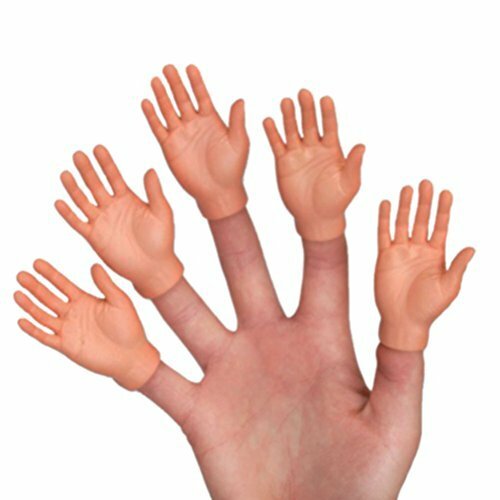 This set of ten Finger Hands comes with right and left hands for the perfect high-twenty-fives and miniature hand claps. A freaky-deaky tchotchke that will liven up a night of board games, drinking games, smoke breaks, and tons of hilarious photo opps. A great stocking stuffer for all ages.